The “zero calories” branded on their containers seems to be more than good enough reason to presume diet sodas are healthy options. After all, it saves you from the 100-plus calories you’d usually find in regular sodas. It also seems like the perfect solution when you’re craving for a sugary soft drink. For some people with soda habits, craving for it is the kind that can’t be fully sufficed by drinking water and fruit juices alone. But alas, diet sodas came to being and people think they’re saved. But there’s more to this seemingly harmless alternative than meets the eye. Artificial sweeteners have more intense-tasting flavors than actual sugar. 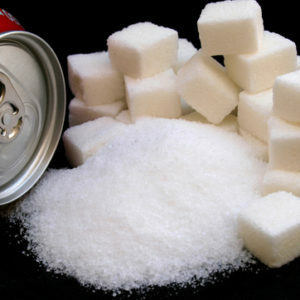 Hence, products such as diet sodas lessen our senses to foods that are naturally sweet like fruits. Synthetic sugars have also been found to produce similar effects on the body as real sugar, which means they also set off insulin. This results to your body transforming into a certain mode where it preserves fat, leading to weight gain. It may have zero calories, but the fake sugar used in diet sodas can still make you gain weight all the same. Speaking of weight, diet sodas are calorie-free, but that doesn’t make it an essential part of your weight loss management plan. 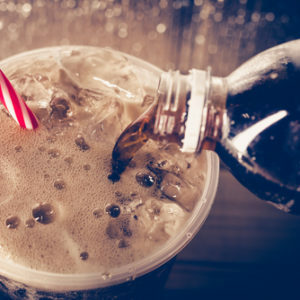 A study at the University of Texas revealed that in a 10-year period, those people who drink diet sodas showed a waist increase by 70 percent compared with those who don’t drink them. Worse, people who drink two or more of these each day encountered a massive increase by 500 percent! The reason behind this may be psychological as thinking you’re not consuming a lot of calories would it make more appealing to order some extra burgers and fries, even if you aren’t that hungry. It’s been found that drinking one diet soda everyday is linked to a 36 percent greater risk of metabolic syndrome and diabetes, according to a research performed at the University of Minnesota. Metabolic syndrome constitutes to a set of medical problems, which includes raised glucose levels and cholesterol, as well as high blood pressure. These conditions increase one’s possibility for developing diabetes, heart disease, and stroke. You may not be taking any calories, but you’re actually not taking anything that’s any value to your body. The only zero-calorie drink that’s good for you is water. It is crucial in the body’s daily processes, so substituting it with diet sodas isn’t ideal. If you want your drink to have flavor, you can go for sparkling water instead. It’s been hinted in some researches that the artificial sweetener in diet sodas could cause headaches. For instance, initial studies conducted on aspartame, a substance often used as sugar substitute in mostly low-calorie products, imply that fake sugar somehow triggers throbbing pain in the head. Drinking too much soda isn’t good for your oral health. In a study, the mouths of people who habitually take cocaine, methamphetamine, and diet soda were compared. It was then determined that there’s the same kind of tooth deterioration in each of these people. But why does your fondness of sodas cost you your smile? It’s because of citric acid, which is known to wane and ruin tooth enamel over time. In a research that lasted a decade, it was found that those people who drank over 4 cups or cans of soda per day were 30 percent more probable to form depression compared with people who avoided them. Even though the link applied to both diet and regular soft sodas, it was found that the risk for soda drinkers was higher. This kind of research may not be capable of substantiating cause and effect, but it doesn’t mean that these findings aren’t worth the attention. A study has also found that drinking diet sodas could heighten the risk of osteoporosis. The risk is even greater for aging women who are in their 60s. In this research, it was determined that women who drank diet soda had almost 4 percent lower bone mineral density in their hips compared with women who avoided such sugary drinks. It’s also been found that all kind of sodas was linked to lower bone-mineral density in females. Previous ArticleWhat Diets and Supplements Work Best When Trying to Lose Weight?